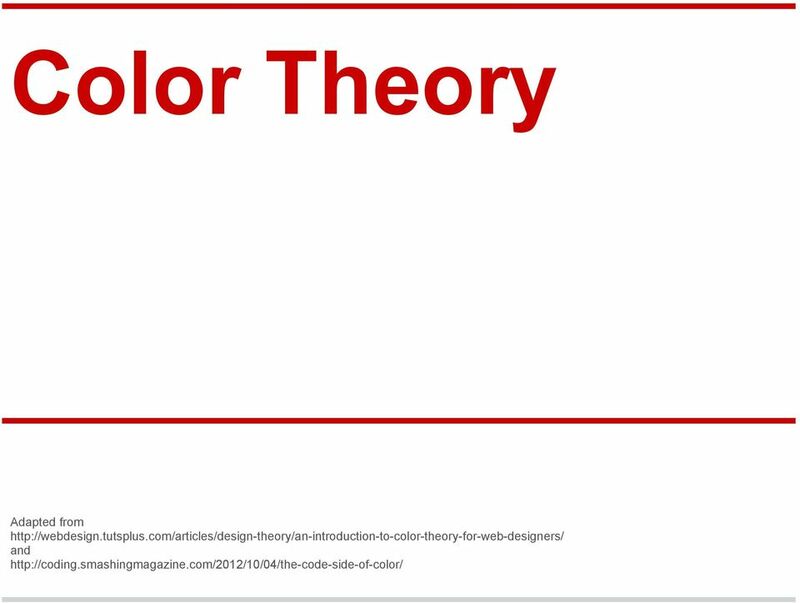 Download "In A Nutshell, What is Color Theory? 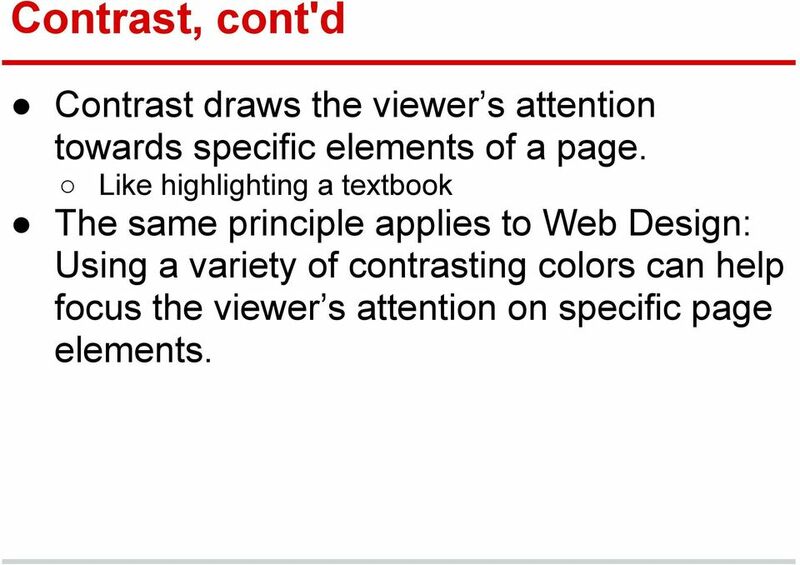 The interaction of colors in a design through complementation contrast vibrancy." 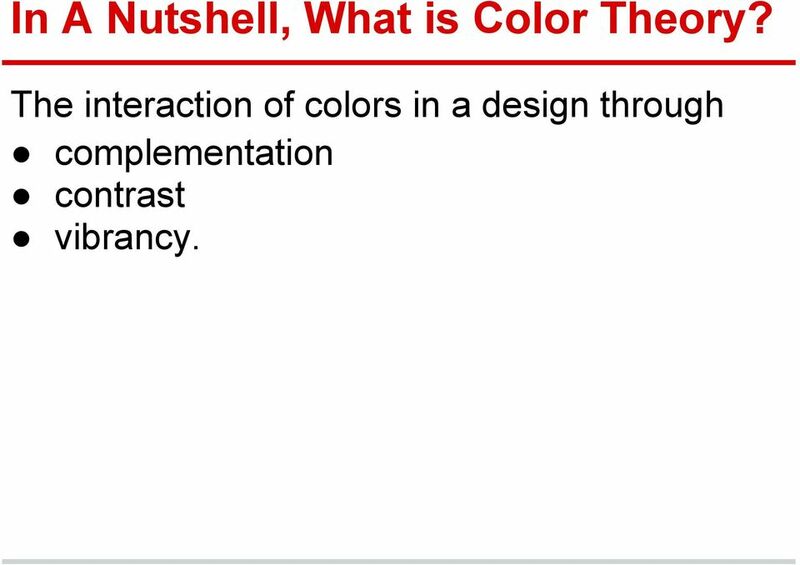 2 In A Nutshell, What is Color Theory? 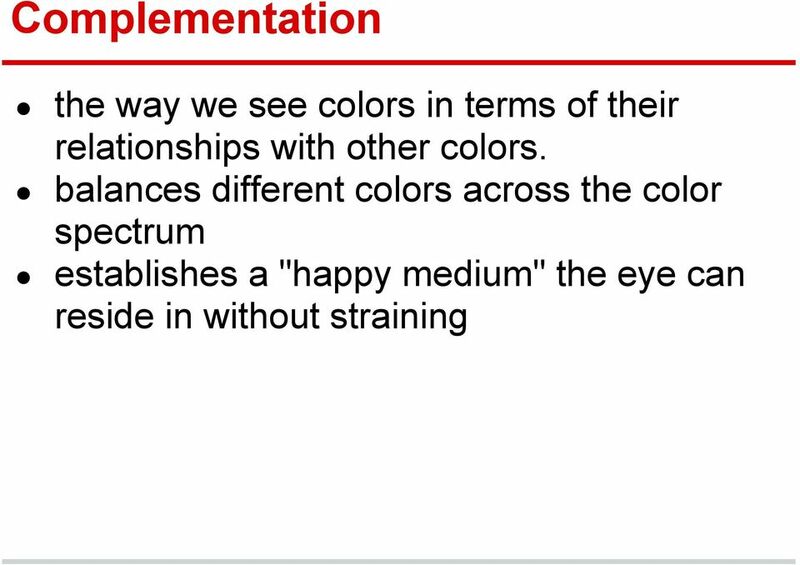 The interaction of colors in a design through complementation contrast vibrancy. 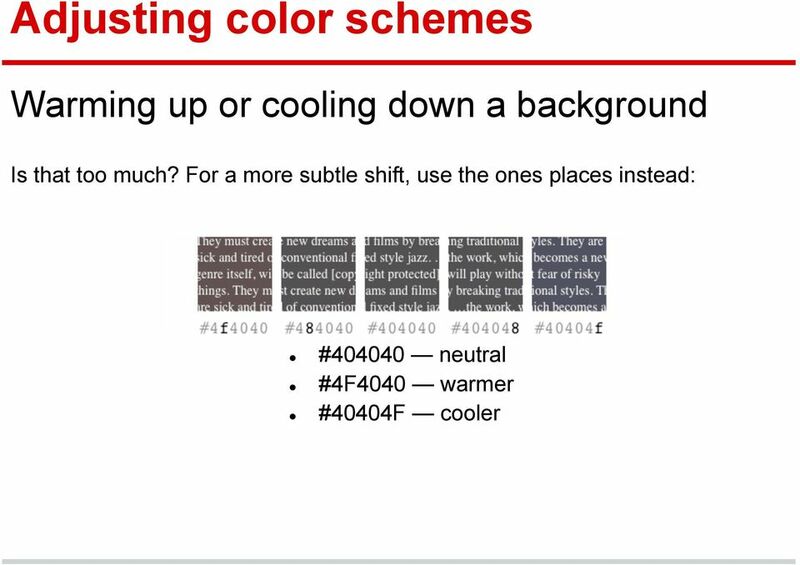 5 Contrast: Text/Background Best practice is usually to choose a very light color for the background, and a very dark color for the text itself. 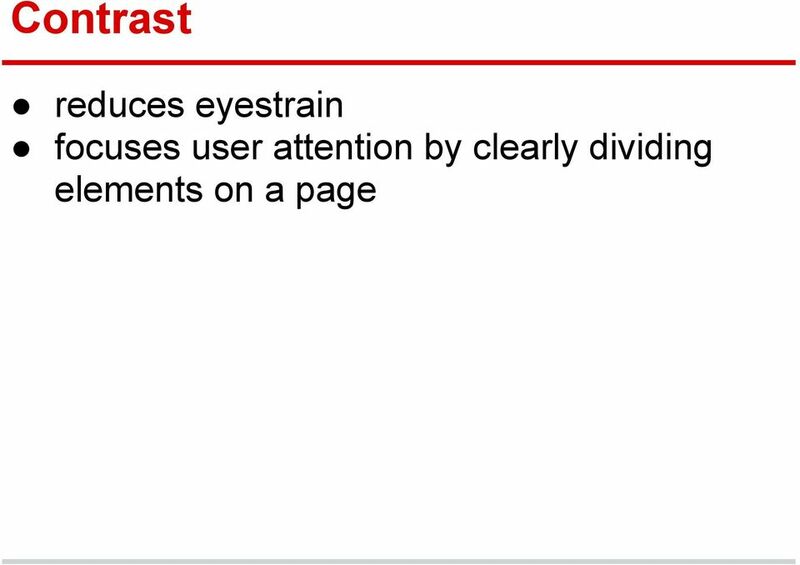 Large text areas aren t a place to try to be really creative so keep it simple and legible. 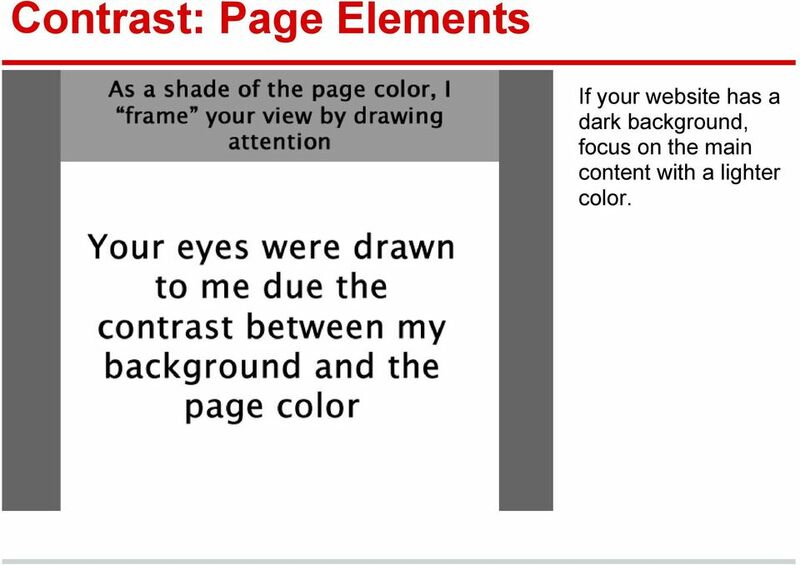 6 Contrast, cont'd Contrast draws the viewer s attention towards specific elements of a page. 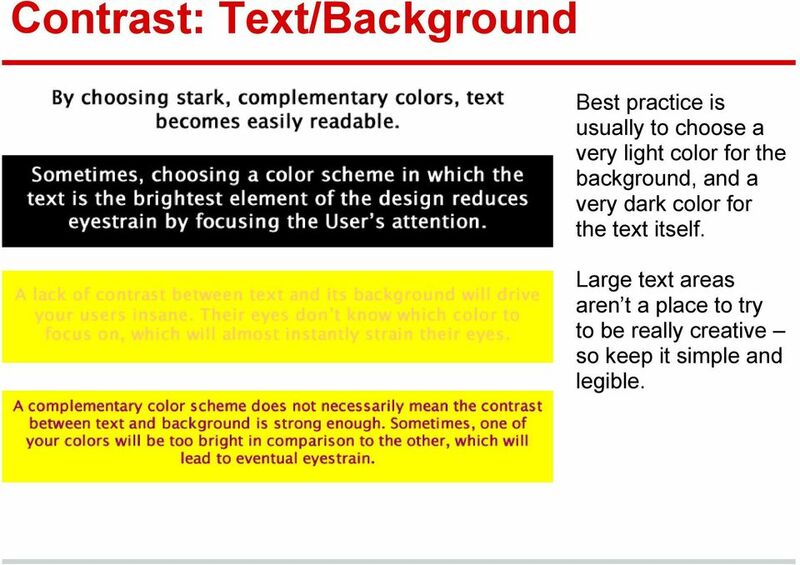 Like highlighting a textbook The same principle applies to Web Design: Using a variety of contrasting colors can help focus the viewer s attention on specific page elements. 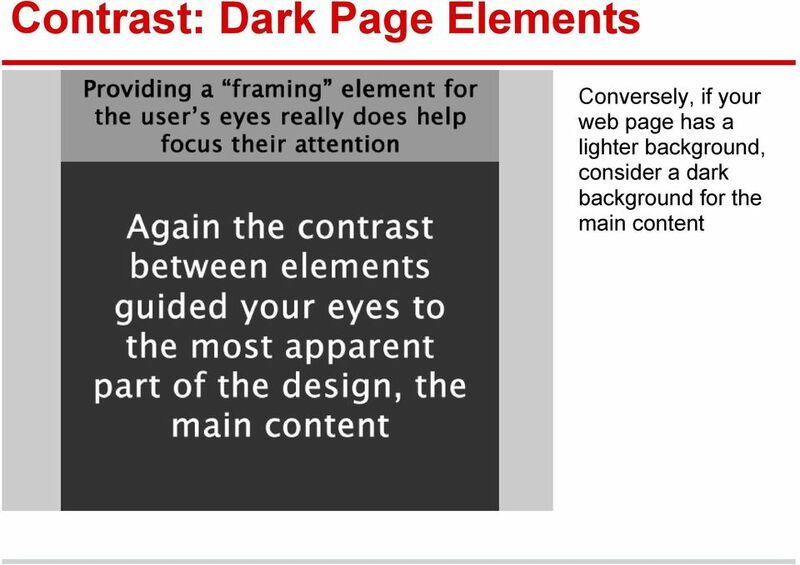 7 Contrast: Page Elements If your website has a dark background, focus on the main content with a lighter color. 9 Vibrancy Dictates the emotion of your design. 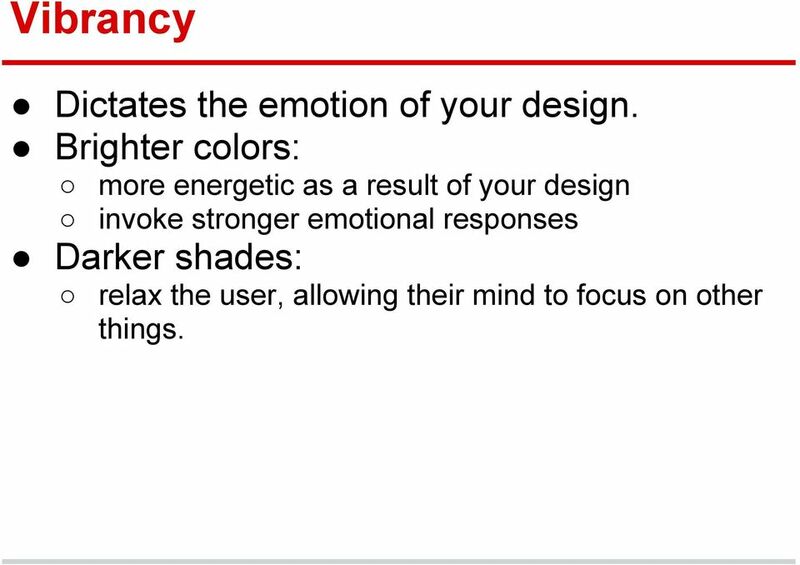 Brighter colors: more energetic as a result of your design invoke stronger emotional responses Darker shades: relax the user, allowing their mind to focus on other things. 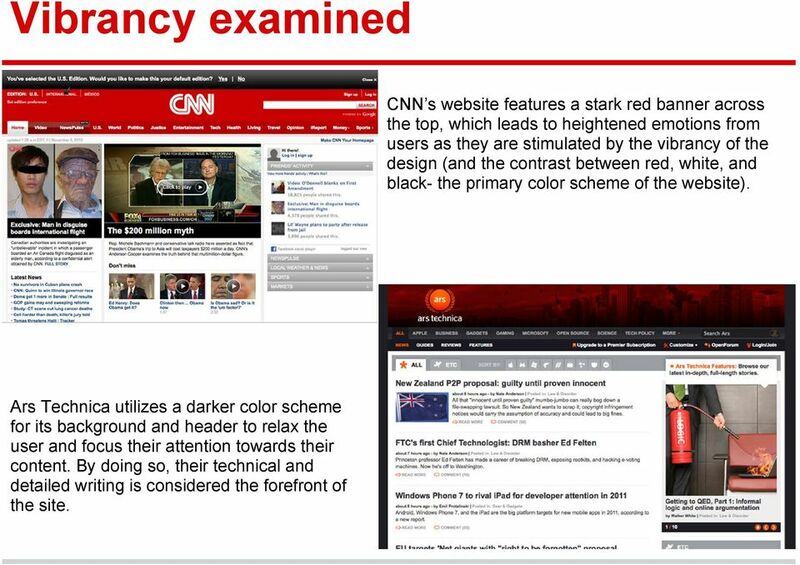 10 Vibrancy examined CNN s website features a stark red banner across the top, which leads to heightened emotions from users as they are stimulated by the vibrancy of the design (and the contrast between red, white, and black- the primary color scheme of the website). Ars Technica utilizes a darker color scheme for its background and header to relax the user and focus their attention towards their content. By doing so, their technical and detailed writing is considered the forefront of the site. 12 Triadic Color Scheme Composed of 3 colors on separate ends of the color spectrum. Create it by: 1. Take a color wheel, and choose your base color. 2. Draw an Equilateral Triangle from this point. 3. 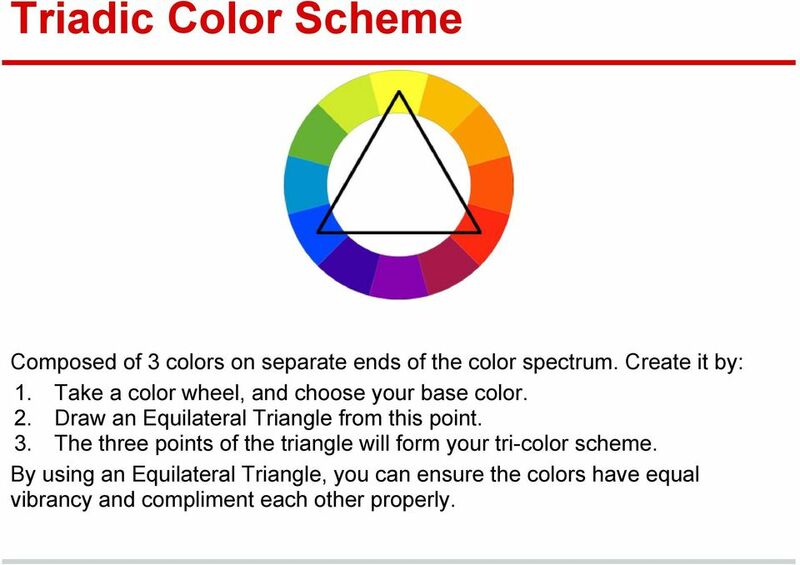 The three points of the triangle will form your tri-color scheme. 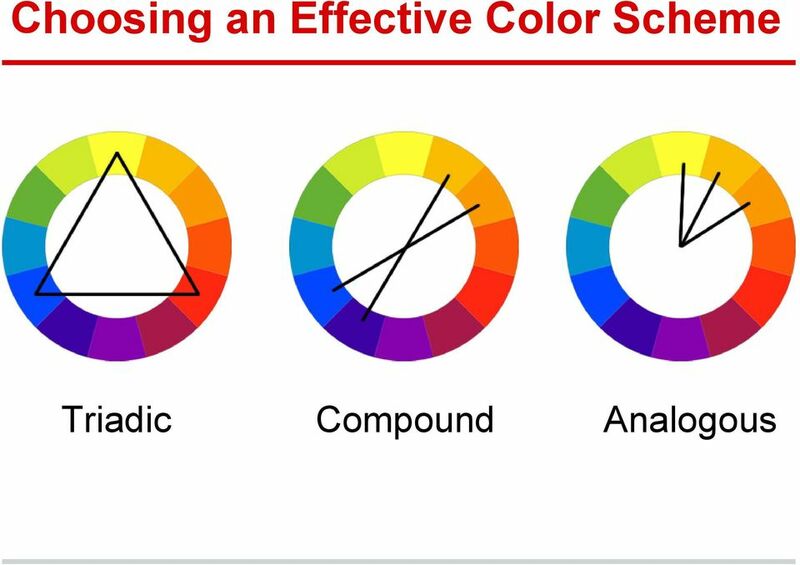 By using an Equilateral Triangle, you can ensure the colors have equal vibrancy and compliment each other properly. 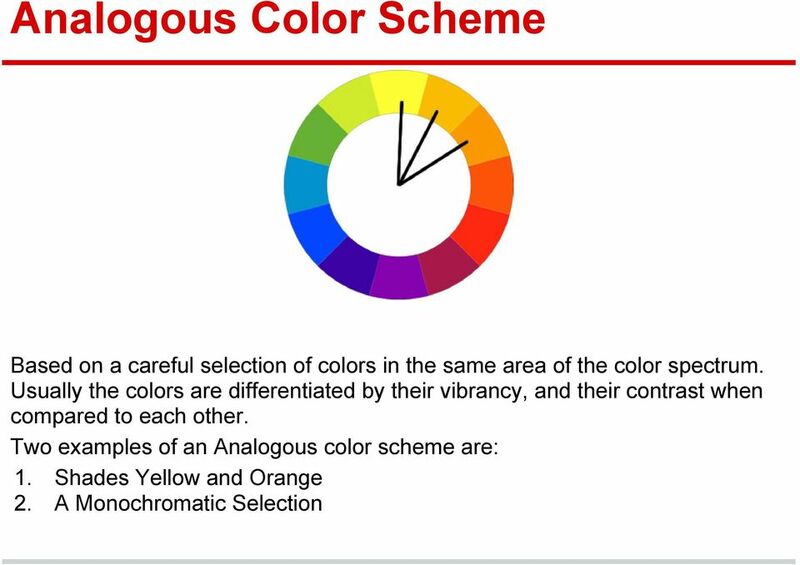 13 Compound Color Scheme Based on providing a range of Complementary Colors Two colors are chosen from opposite ends of the color spectrum. 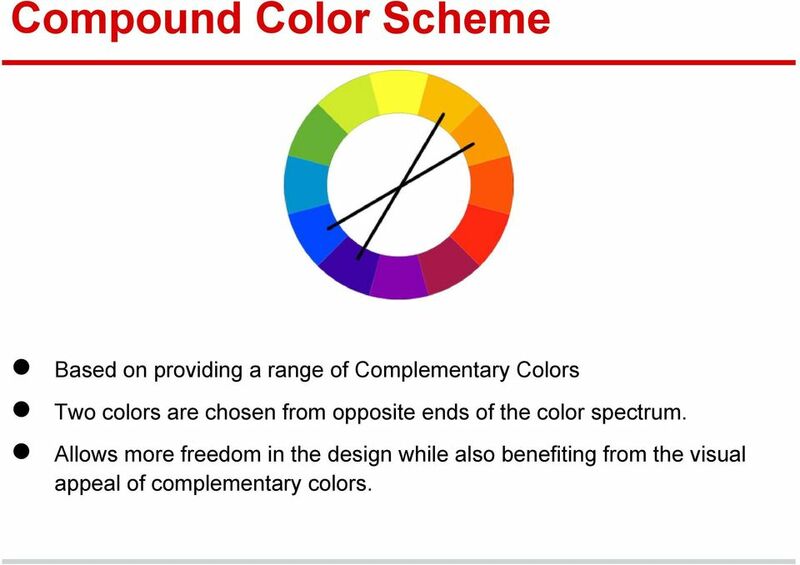 Allows more freedom in the design while also benefiting from the visual appeal of complementary colors. 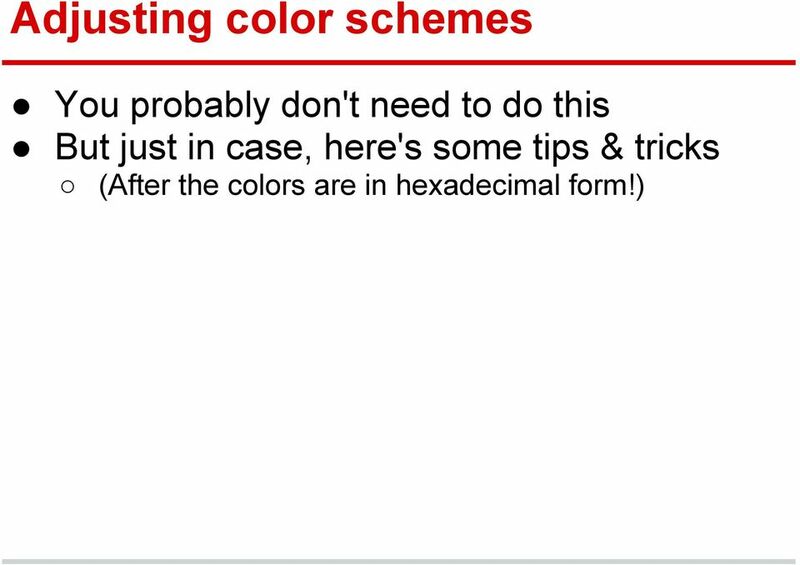 15 Color Scheme Tools Don't pick color schemes by hand! 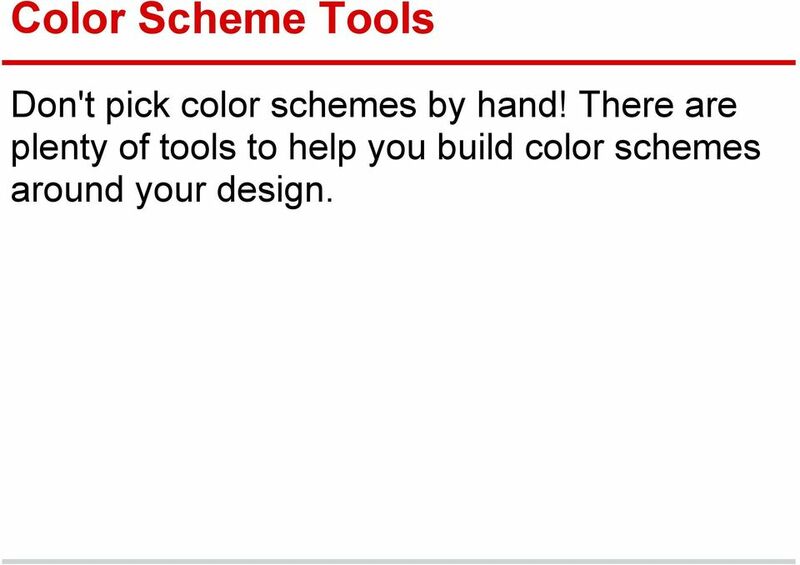 There are plenty of tools to help you build color schemes around your design. 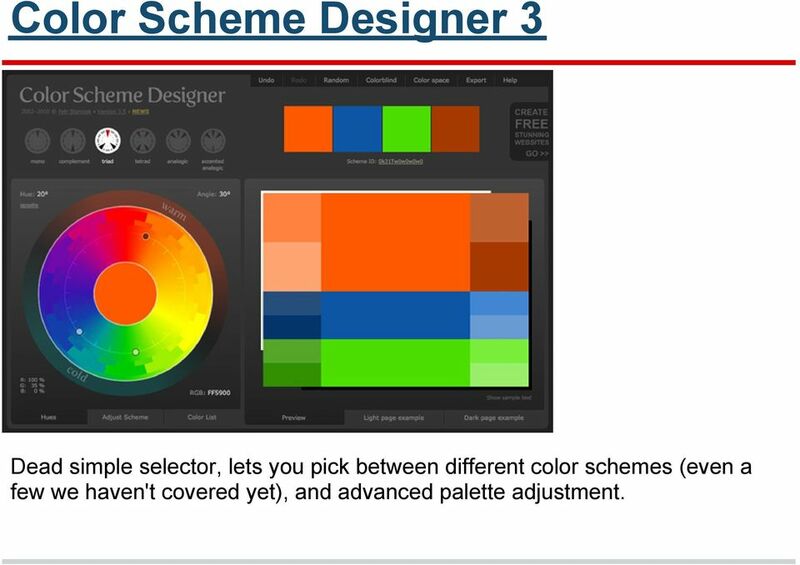 16 Color Scheme Designer 3 Dead simple selector, lets you pick between different color schemes (even a few we haven't covered yet), and advanced palette adjustment. 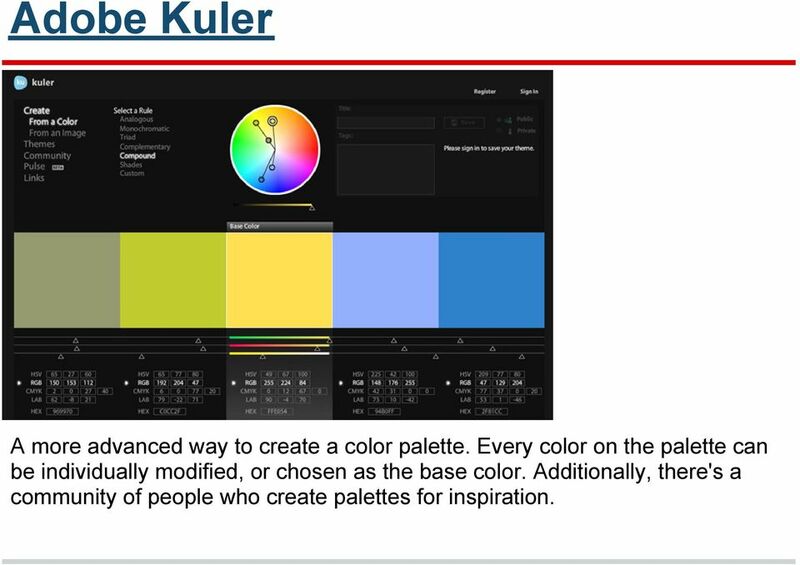 17 Adobe Kuler A more advanced way to create a color palette. 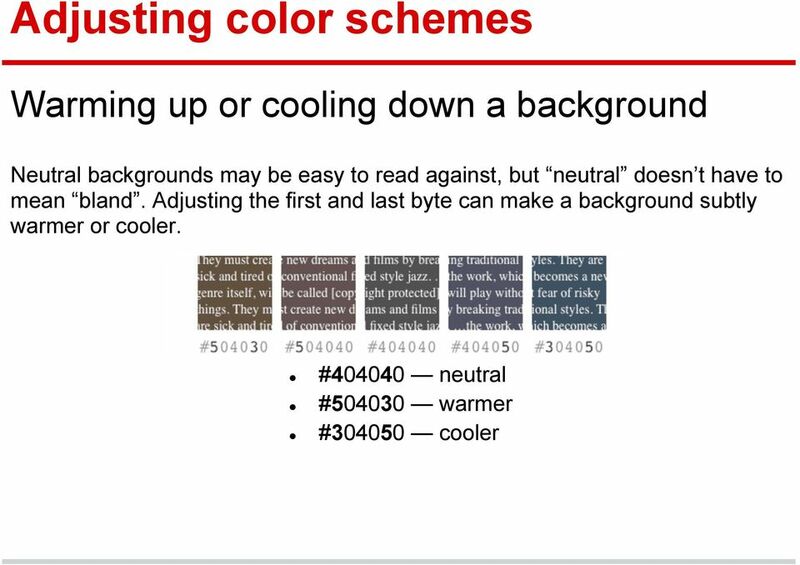 Every color on the palette can be individually modified, or chosen as the base color. Additionally, there's a community of people who create palettes for inspiration.